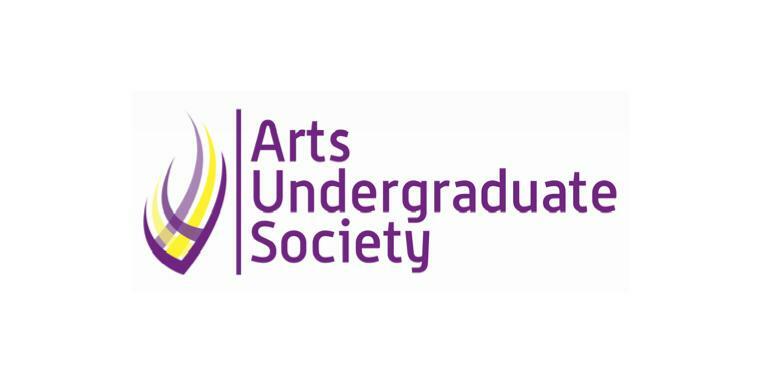 The Arts Undergraduate Society, including myself, would like to once again acknowledge and apologize for the mistakes that were made during the planning of stARTup. To give some context about stARTup, prior years had great success and we had no reason to believe that we could not match our past success. There were complications outside of our control and admittedly oversights were made by us on the planning. We apologize to our arts constituents. We are students and this has been a learning process and will continue to be a learning process for us. We are doing our best to serve your best interest and will continue to work hard to do so. Unfortunately, we had to make some cuts to stay on our budget for the year. I know the concern by most is that programming offered by the AUS will take a hit, but I would like to reassure you that the cuts will not impact programming. Just to clarify, all the numbers that were projected this year are a sharp increase from last year. For example, in previous years there was no budget for philanthropy, student wellness and professional development. Overall we offer more this year, despite these mid-year budget adjustment. The decisions of which areas can be adjusted to cover the loss were done carefully with egregious amount of thought and justification, input from all the executives and consultation with AUS council about how to move forward. The sports budget was reduced because the AUS hosts an event called “Dodge in the Dark.” The event took up majority of the sports budget so to mitigate this, we decided to combine the event with the external portfolio and make it a philanthropic event. By doing so, we were able to decrease the overall sports budget and maintain the event. Another reduction mentioned was to the academic portfolio, specifically to professional development and student wellness. We did this because last year, the budget was allocated at $15,400 with only $1,025.66 of that used. We wanted to give a healthy budget to the academic portfolio still, which is why it was initially at $8,000. Since only $1,025.66 was used last year, we felt as though $7,000 was still more than reasonable and the VP Academic still had room to grow the portfolio further. Finally, the biggest reduction made was to the Student Life portfolio, with the reason being stARTup is directly under the student life portfolio. After talking to the VP Student Life, she was confident that she could maintain the same quality of events, while still cutting the budget. She has done this successfully thus far and the same events that were held last year are still being held this year. The final concern that we want to address is council retreat. The article highlighted that council retreat was not cut, with $10,000 allocated to it. We ran $2,500 under budget and spent less than previous years. The AUS still strongly stands behind the decision to not cut council retreat. The weekend is a way of showing our gratitude and offering councilors our support for their work. All of Saturday is spent planning programming for the year, participating in team bonding activities, and having a workshop about the AUS. This year, we had around 50 people attend, which is the highest attendance rate in years. This high attendance rate indicates that engagement with the AUS is on the rise and councilors are showing high levels of interest. Without the hard work of our councillors, we would not exist. We would not be able to provide students with services and events without them. People in the AUS often have a full course load like every other student, they have other jobs to get to, and homework and midterms to study for but they also go above and beyond and dedicate their time to the AUS without any compensation. They dedicate their free time in hopes of creating a better university experience for other arts students. We do not have our cell phone bills paid and that column is zeroed out on our budget. Our capital expenditure budget, which was primarily going to be used for furniture for the office, was cut from $8,000 to $3,000. We wanted to ensure that the effects on the greater arts community were minimal to none. We have implemented measures to make sure that the mistakes made during stARTup do not happen again. We have empowered council to create an ad hoc committee to provide oversight and give recommendations about how to move forward. We are also ensuring that this year’s executives work with next year’s executives for the creation of the budget. The AUS is moving forward but we are committed to always doing better. We highly encourage art students to get involved and make their voices heard about what they would like to see. We have an open AUS Council every other Tuesday and we warmly invite anyone that has any other concerns. Our next one is November 22 at 7 p.m. in the Michael Kingsmill Forum. If anyone has any further questions, please contact aus.president@ubc.ca. Elise Mance is the president of the Arts Undergraduate Society.